Chat Fu’s First Preview Coverage! | Blot Interactive | Imagination at play. Chat Fu’s First Preview Coverage! As we’re gearing up to launch Chat Fu on Facebook, we’ll be teasing even more awesome material from the game. 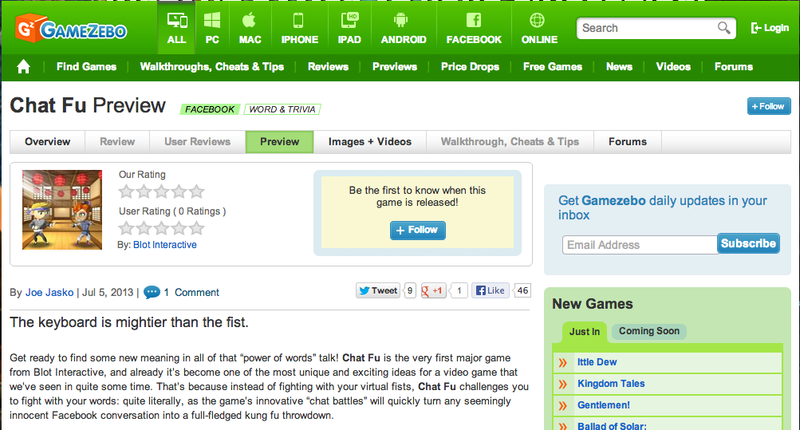 In the meantime, you should definitely check out this awesome preview of Chat Fu by the fine folks at Gamezebo! » Chat Fu » Chat Fu’s First Preview Coverage!